By Audrey Golden. Dec 4, 2015. 9:00 AM. Since the 19th century, Russian novelists have attained international fame and recognition. Indeed, Russia has produced some of the world's most legendary authors. If you’re traveling to Russia or are thinking about learning more about the country through works of fiction, what should you read? Beginning in the 19th century and moving through to the 21st century, we’ll discuss some of the best books from Russia that you should add to your reading lists. About twenty years later, notions of nihilism had swept Russia. Dealing with themes of cynicism—both personal and political—and the nothingness of being, Ivan Sergeyevich Turgenev’s Fathers and Sons (1862) has become an important work of fiction for considering the state of the country in the 19th century. Yevgeny Vasilevich Bazarov, Turgenev’s nihilist antihero, often is considered an early prototype of the Russian Revolutionary. Despite the fact that Fathers and Sons resulted in much criticism of Turgenev, the novel remains a significant work on lists of Russian novels from the 1800s. 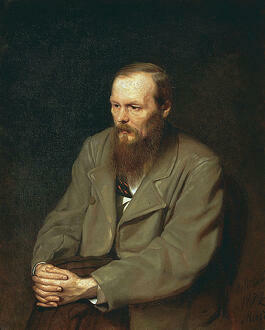 Right around the same time, Fyodor Dostoevsky began writing. While we know you’ve heard of Crime and Punishment (1866) and The Brothers Karamazov (1880), we recommend looking to The Idiot (1869). And no list of 19th-century Russian novels would be complete without a mention of Leo Tolstoy’s War and Peace (1869), the quintessential narrative that depicts the country at this important literary moment. What books should you read if you want to connect with Russia at the moment of revolution or during periods of intense censorship in the Soviet Union? You should start, of course, with Andrei Bely’s Petersburg. An often overlooked but truly fantastic novel of the early 20th century, Petersburg tells the one-day tale of a would-be revolutionary who runs through the streets of St. Petersburg trying to decide whether or not to set a bomb. The novel appeared in the moments leading up to the Bolshevik Revolution and the shift from on oppressive monarchy to a system of tyranny that would maintain a grip on the country—and the region—for nearly a century. If you want to know more, you’ll have to pick up a copy of the book. 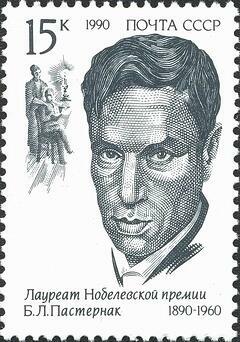 Boris Pasternak’s Doctor Zhivago (1957) takes place largely during World War I and the Russian Revolution, but it actually begins in the very early 1900s and traverses the following decades up through World War II. Through many parts and temporal shifts, the novel tells a story of romance, struggle, and loss for the protagonist, Yuri Zhivago, and Lara, his longtime love. Dealing with numerous political matters that afflict Russia throughout the first half of the 20th century, the novel has become one of the most famous and widely read novels from the country. And if you become a fan of the book that won Pasternak a Nobel Prize, you should be sure to check out David Lean’s 1965 film adaptation with Omar Sharif and Julie Christie. After the fall of the Soviet Union, creative possibilities seemed hopeful for writers in Russia. Yet in the years that followed, political corruption and questions of ethnic violence in various parts of the country have reshaped struggles throughout the country. We’d recommend checking out Tatyana Tolstaya’s The Slynx, a dystopian novel published in English translation by New York Review of Books in 1997. A journalist and novelist, Tolstaya writes fiction that remakes the form of the Russian novel for the 21st century. The list of Russian authors is seemingly endless, and we’ve only provided you with a handful of the best books on Russia to get you started. Once you start reading, however, we suspect it will be difficult to stop. And who knows? You might just find yourself taking a trip to Moscow to retrace the literary steps of some of the authors we’ve mentioned.